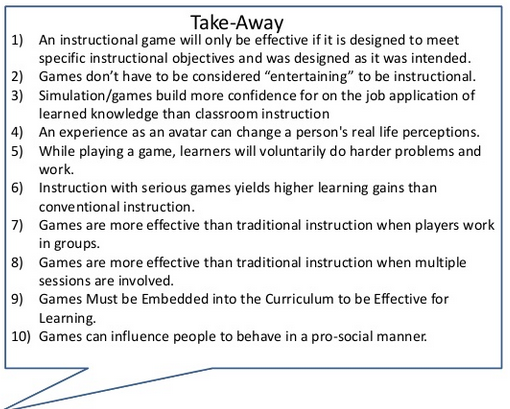 These are my slides from my fill-in session at the ASTD Evidence-Based Learning Conference. It was a great conference filled with wonderful questions, ideas and thoughts. Posted on April 9, 2013, in Uncategorized and tagged Game based learning, Game design, gamification of education, research, serious game. Bookmark the permalink. Leave a comment.